CareSource® is committed to providing care that is safe, effective, member-centered, timely, efficient and equitable. The scope of the CareSource quality improvement program is comprehensive and includes both clinical and non-clinical services. CareSource monitors and evaluates quality of care, safety and service delivered to our members, with emphasis on accessibility to care, availability of services, and physical and behavioral health care delivered by network practitioners and providers. CareSource also monitors member services through practitioners, providers, hospital, utilization management, care management and pharmacy programs. Member satisfaction and health outcomes are monitored through routine health plan reporting, annual Healthcare Effectiveness Data and Information Set (HEDIS®) and Consumer Assessment of Healthcare Providers and Systems (CAHPS®) scores, assessment of provider and member satisfaction and review of accessibility and availability standards, utilization trends and quality improvement activities. Performance is assessed against goals and objectives that are in keeping with industry standards. Annually, CareSource completes an evaluation of our QI program. In 2015, CareSource was awarded an accreditation status of Interim Accreditation by the National Committee for Quality Assurance (NCQA). 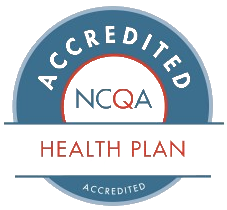 This accreditation status shows the commitment to service and clinical quality that meets or exceeds NCQA’s rigorous requirements for consumer protection and quality improvement as we work to improve members’ health care. Guidelines are promoted to providers through newsletters, the CareSource website, direct mailings, the provider manual and through focused meetings with CareSource Provider Relations representatives. Information about clinical practice guidelines and health information is available to Just4Me members via member newsletters, the CareSource member website and upon request. If you would like more information about CareSource Quality Improvement, please call Provider Services Monday through Friday, 8 a.m. to 6 p.m. Eastern Standard Time (EST) at 1-800-488-0134.